Michael Jackson’s name and legacy have been further tarnished in recent days following the allegations of sexual abuse of minors revealed in the Sundance Film Festival entry Leaving Neverland. But that hasn’t seemed to affect Jackson’s popularity in Israel. 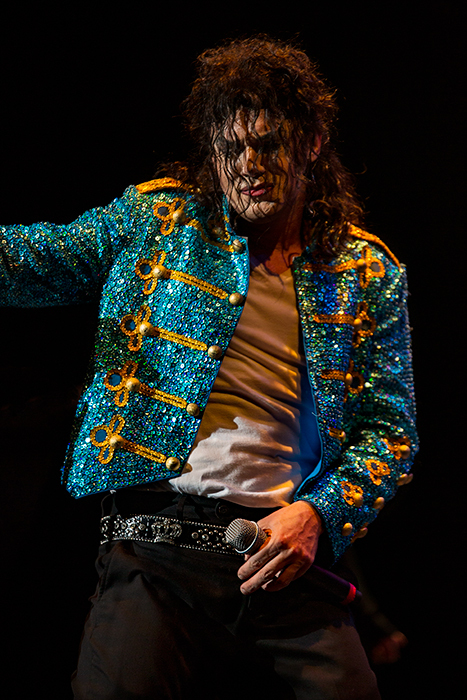 It was all cheers and adulation on Monday night when the I Am King Michael Jackson review from Las Vegas made a stop on its month-long tour of the country in Ma’aleh Adumim. The near-sellout crowd treated singer/dancer Michael Firestone and his glitzy, entertaining revue as if he were the king of pop, but without all the baggage. Possessing an uncannily similar physique and singing voice to Jackson, and – thanks to prodigious makeup and hair piece – an eerie likeness, Firestone dazzled the audience with a spot-on performance that showcased his Jackson-inspired nimble dance steps and memorable repertoire. He was backed by a spunky band, four talented dancers and numerous costume changes, evoking the atmosphere of a stage show, rather than a concert. At times, the cleavage and exposed skin factor of the female dancers jiggled toward burlesque, and coupled with Firestone’s frequent crotch grabs, cemented this as a show that might require some parental guidance. On the other hand, the kids that were there became participants, being brought up onstage for some amateur moonwalk efforts and singalsongs. Strolling through the audience during “Black and White,” Firestone was treated like a superstar, posing for selfies with Jackson fans and mugging for the crowd. We love our heroes, and if they are far from perfect in real life, onstage they make up for it – even if it’s not really them. It will be a loud night of splintering electric guitars, plus hundreds of voices from the audience singing along to their favorite hits, at the Union County Performing Arts Center on May 20. 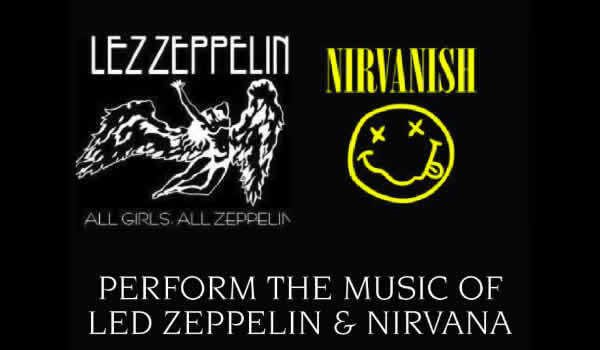 Two adrenaline-inducing tribute bands representing rock legends take the stage at 8 PM: Lez Zeppelin, an all female tribute to the hard rock ’70s band Led Zeppelin, and Nirvanish, a tribute to the grunge, early ’90s band Nirvana. From fans that have been fans since Led Zeppelin was founded to those born right after Nirvana’s prime (who grew up listening to their parent’s records), this concert will provide as faithful an experience to the real deal as anyone could find. Legendary rock guitarist, vocalist and songwriter Lita Ford has teamed up with tribute band Lez Zeppelin on an all-new cover of Led Zeppelin classic, “The Lemon Song.” The song, premiering exclusively on Parade.com, will be released January 20 on She Rocks, Vol. 1, a compilation album featuring 11 iconic female guitarists produced by famed guitarist Steve Vai’s Favored Nations label. A Grammy-nominated singer/guitarist who rocked alongside Joan Jett in The Runaways, Ford will be honored at the She Rocks Awards’ fifth annual show on January 20. The She Rocks Awards are hosted by the Women’s International Music Network to pay tribute to stand-out women in the music industry. You can catch the live-streamed show at Parade.com/SheRocks. click to listen to the song…. Season 7 America’s Got Talent Winners, The Olate Dogs perform holiday-themed tricks on America’s Got Talent! Kitaro 2017 Symphonic World Tour! Kitaro presents Kojiki and the Universe, a full immersive intimate Kitaro experience. DVD’s are available upon request. Please contact us today. Sgt. Pepper’s heads off to Southeast Asia! Sgt. 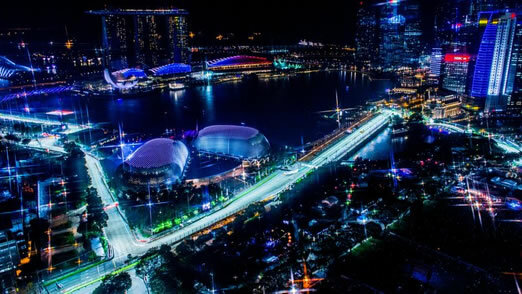 Pepper’s Lonely Bluegrass Band will be performing at the Singapore Grand Prix on September 16th, 17th, and 18th! 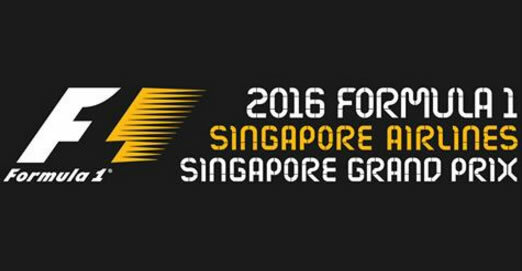 We look forward to seeing our friends and fans in Southeast Asia next week….